The Republic of Cyprus or just Cyprus, name of the state more familiar to the common people, is located in the far east of the Mediterranean Sea and it is one of the countries that Mediterranean Diet flourishes. The island has a long and diverse history full of legendary events. The most prominent event was announced by one of the myth relating of Aphrodite’s birth. Cyprus is the cradle and home island of the goddess of love and a place where lots of Mediterranean foods grow and/or are prepared. In Cyprus none of the acquaintances can take place without an excessively served festive table, an interesting and loud communication, singing and dancing. Like in many Mediterranean cultures, food and the table ceremony are the nation’s identity and its characteristic feature. An integral part and unique component of the Cyprus table is certainly a traditional white cheese Halloumi or Challoumi. The name of the cheese derives from the Greek word “almi” – salty water. The name probably linked with the salty brine which accompanies the cheese and adds to its better preservation. In the minds of people all over the world Halloumi is associated with Cyprus as the product traditionally made and originated in the island. The history of this exceptional and very tasty cheese counts a tail of centuries. Some references state that its origin was tracked in the Bedouin tribes of the Middle East who found its preservative features suitable for their life style. Therefore it is not easy to stipulate when exactly it appeared on the Cyprus territory and was widely produced by peasants. Definitely it was made before the Turkish invasion and was an essential constituent of the Cypriots’ diet despite of the absence of any refrigeration facilities. Historical reports of the times of the Venetian dominion (1554) give written evidences that Halloumi was a typical product of this area for centuries. The chronicles say that “caloumi” as it was spelled in Venitian was widely produced in Cyprus. At those times the Halloumi season was in March when the yield of quality and fat-rich milk was at peak. On those far days this sort of cheese was produced strictly of goat or sheep milk, their mixture was applicable as well. Containing goat and sheep milk the cheese had and having now a specific tangy and creamy taste which forms its distinguishing feature. The secret of cheese making was transferred from generation to generation. Halloumi production was a social activity. The families and neighbors of the same village united in the cooperatives to produce enough cheese for the next period. Halloumi was the basic requirement of the rural people diet so it was obligatory to have a good stock of it. Within a few weeks of joint work aimed at processing of milk the whole neighborhood gathered required quantity of Halloumi for all the locals. The woman was honored to make the main food of every feast and common day. Only tender and kind hands of a woman could prepare this important component of the traditional cuisine. 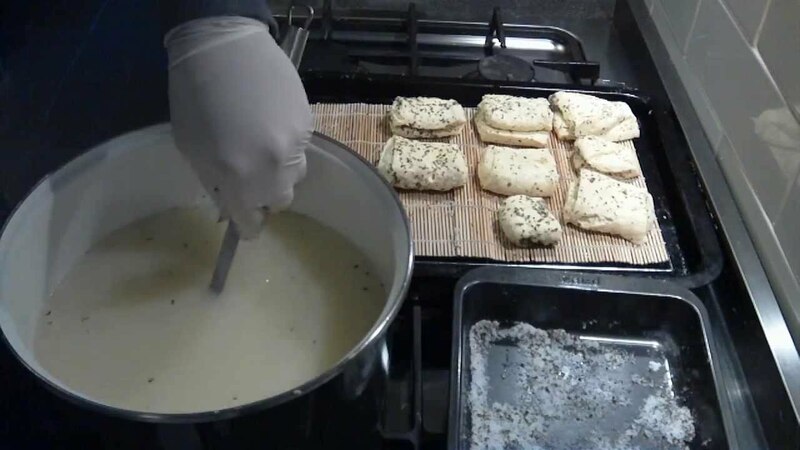 All the stages of Halloumi making was coordinated and controlled by a special person, woman of course, named “galatarka” – a cheese woman – the most experienced woman with the biggest number of animals.Pacing of technologies and emerging of machinery created environment for setting up small commercial dairy units along with homemade production of Halloumi. Halloumi cheese which is closely associated with the culture and traditions of the local people. Halloumi is not just a product it is a constituent of the cultural heritage and a symbol of social solidarity of rural people who keep the oldest traditions of every ethnos. Halloumi, a Mediterranean food, is definitely a basic component of the Med diet since it is a white cheese is in the regular section of the Mediterranean Diet Pyramid. Previous post: How much Olive oil is beneficial for a Healthy Body?